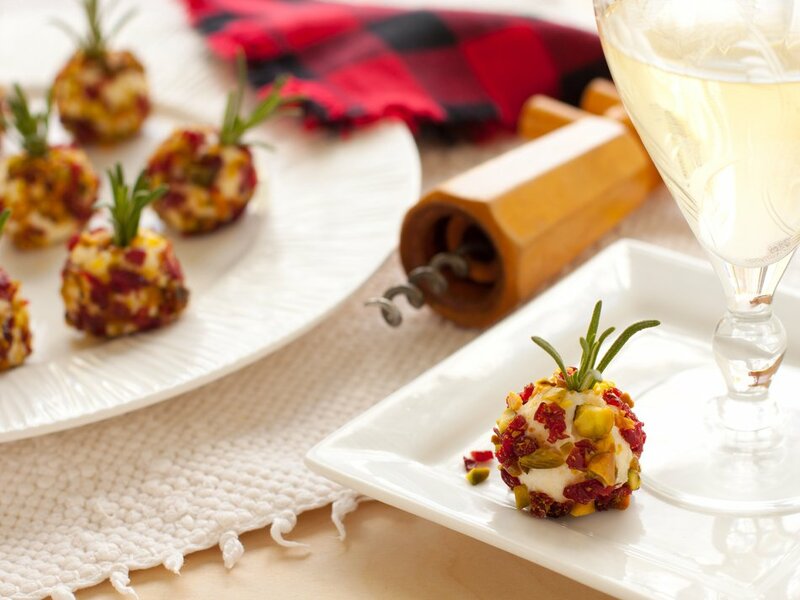 Fresh Cranberry Pistachio & Cheddar "Pops"
If you’re looking for a delicious and festive appetizer to serve at a holiday party, be sure to add this fresh cranberry cheese ball recipe to your menu! 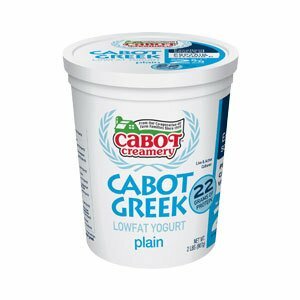 Balls of Cabot Cheddar cheese and Cabot Greek Yogurt are rolled in a mixture of chopped dried cranberries and chopped pistachios for an appetizer that’s satisfying, both in texture and flavor, and delightful to look at. These cranberry cheese balls are also quick and easy to make, which is an extra bonus. After making them, share the recipe with family and friends on Facebook, Pinterest, Twitter or Instagram. 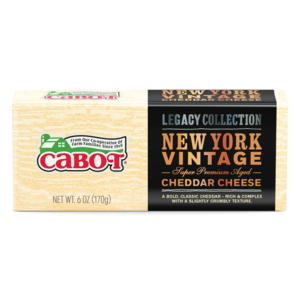 To make about 2 dozen cheddar cheese balls, place grated Cabot Sharp Cheddar, Extra Sharp Cheddar, Sharp Lite50 Cheddar orNew York Vintage Cheddar cheese and enough of Cabot Lowfat Plain Greek Yogurt (or Plain Greek Yogurt) in a medium bowl. 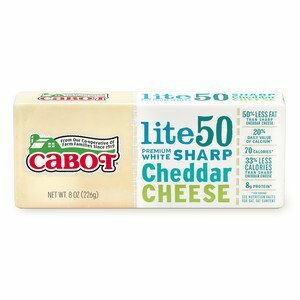 Using a fork, combine cheddar cheese and yogurt to make a cheese mixture that holds together well and shape into balls. Mix chopped pistachios and chopped dried cranberries together in another bowl. Roll each cheese ball in mixture, pressing in firmly to coat. Cover and refrigerate until ready to serve. Just before serving, if desired, insert small piece of rosemary in each ball. Looking for another festive appetizer that will wow your guests? Our Cranberry Cheddar Pita Bites are always a hit too. 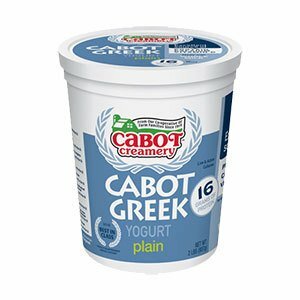 Cabot is a co-operative of over 800 farm families. 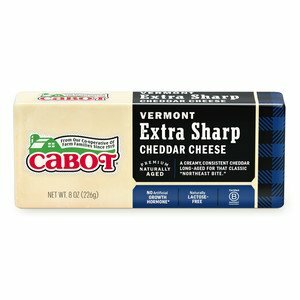 We work hard to produce our award-winning dairy products. 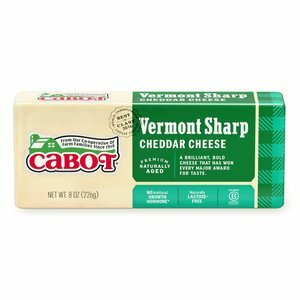 We’d love to hear your feedback on this cheddar cheese ball recipe so, if you have a chance, please rate and review it. COMBINE grated cheese and enough of yogurt to make mixture that holds together well, in medium bowl with fork; shape into about 2 dozen (1-inch) balls. MIX together pistachios and cranberries in another bowl. Roll each ball in mixture, pressing in firmly to coat. Cover and refrigerate until ready to serve. Just before serving, insert small piece of rosemary in each ball if desired. Such a great festive idea and so fun and easy to make. Our friends loved them! !